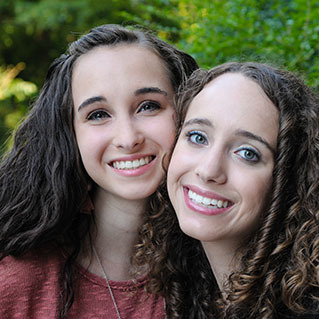 At Howell Orthodontics, we try to make orthodontic treatment as affordable as possible and work with families on an individual basis to make payments fit into their budget. Nevertheless, some families are simply not able to afford orthodontic treatment for their children even though many of these children truly need braces. Dr. Howell designed a program, Give A Grin, to annually give one deserving student in Jackson County a full set of braces at no charge. Since 2010, the Give A Grin board of directors has chosen one middle school student each year to be the recipient of free orthodontic treatment! It is so rewarding for Dr. Howell and the Howell Orthodontics team to share in giving the gift of a beautiful smile! Howell Orthodontics is proud to support this wonderful organization that daily provides a safe place that individuals with disabilities can call their own. ESP runs weekend and after-school programs, family support programs, and events in addition to summer camp. Through the magic that ESP creates, the lives of many kids, young adults, families, volunteers, donors and staff are changed forever! Dr. Howell values education and truly understands the importance of supporting the teachers and administrators in our local schools. Howell Orthodontics is honored to partner with many of the local area schools and serves them consistently in various ways. We have had multiple high school students shadow us as we work via the Work Based Learning program. It is not uncommon to see Dr. Howell or members of the Howell Orthodontics team at your school’s Career Day, Talent Show, or even running next to you at a local 5K! We are blessed to have such wonderful school systems in our community, and we appreciate the educators that work selflessly to teach and inspire our youth. February is National Children’s Dental Health Month. Howell Orthodontics is proud to bring dental education to local classrooms through our Tooth Fairy visits and educational oral hygiene demonstrations. Children will remember to eat healthy and use proper brushing and flossing techniques from our fun stories of George the monkey and a special appearance from the one-and-only Tooth Fairy! Dr. Howell serves on the council at several schools in the community, offering her support and advice as a community leader, business owner, and mother. Howell Orthodontics is proud to sponsor and present the “I Straightened It out Award” at Jefferson High School each year since 2014. This award is intended to honor and celebrate students who have demonstrated a sincere effort to improve in one or more areas during the school year. Each student is nominated by a teacher who has observed these positive changes; and, at the luncheon we sponsor for students and parents, the teachers’ remarks are read aloud and given with certificates to the students. It is such an honor to partner with this school in recognizing students. We hope to extend this award to other local schools to recognize even more students for their efforts to set goals and work hard to achieve them! Look out for our tent each year at the Jefferson Clubhouse where the Howell Orthodontics Team will be serving the community and raising funds for a non-profit near and dear to our hearts. Your friends at Howell Orthodontics enjoy celebrating the tradition of face painting and crazy hair before the annual Community Easter Egg Hunt! Howell Orthodontics loves to participate in the Jefferson Christmas Parade each year. Beginning on Memorial Drive just in front of the Howell Orthodontics office, members of the community parade through the town of Jefferson with music, candy and lots of smiles sharing in the joy of the season with hundreds of our family and friends. You will usually see Dr. Howell behind the wheel of a Ford Mustang convertible with a few of our orthodontic patients tossing out candy to parade watchers and enjoying the sights and sounds of Christmas!